"The twelfth thoracic vertebra, or the T12 vertebra, is the largest and most inferior of the thoracic vertebrae. T12 bears the most weight of any thoracic vertebra, making it the strongest, but also the most susceptible to stress-related injuries." It's 1997 on one of those perfect winter days when the slopes are calling. Hot shot snowboarder Trevor "Trevair" Snowden is poised to decimate the competition. He gets ready to execute a jump. He goes up, but misjudges his landing and everything changes. Well, not everything. Yes, Snowden broke his T12 vertebrae in that accident, causing paralysis. Yet, in the face of a game-changer that would send others tailspinning into depression, Snowden's spirit, drive and determination remained intact. Rather than look at the incident as a tragic detour, Snowden believed that this was the next step in his overarching life path. "I was able to adjust," said Snowden, 45. "It was part of the whole spiritual process with the next level of growth…I knew that there was a higher power that was involved. I kind of expected [the accident] spiritually from that aspect. I was over my walking, able-bodied life. When the accident occurred, it seemed relevant; I was going through the next level of my spirituality." After Snowden's accident, his male compatriots remained loyal, along with his lady friends with whom he had platonic relationships. But not the women he dated. "The girls I dated stopped coming around," he said. Snowden emphasized that their absence did not bother him; rather it was further evidence of this new phase in his life. "You recognize how you were a character before and then [you] get transformed into a new character. Those females were only attracted to what I was able to give them in the able-bodied world." Adapting to paralysis was one thing, but adjusting to life in those standard wheelchairs covered by insurance companies—that was untenable. Snowden found it difficult to embrace these confining mobility devices. Instead of whining and complaining, Snowden took matters into his own hands and developed a new wheelchair with great suspension. The eponymous "Trevair" wheelchair was born in 2008, 11 years after his accident. "It has a tubular design with trailing arms suspension," said Snowden. "It's not a boxed style design where the frame has all these tubes going everywhere." Shortly after inventing that wheelchair, he then developed a scooter which can be added on for increased freedom and mobility. 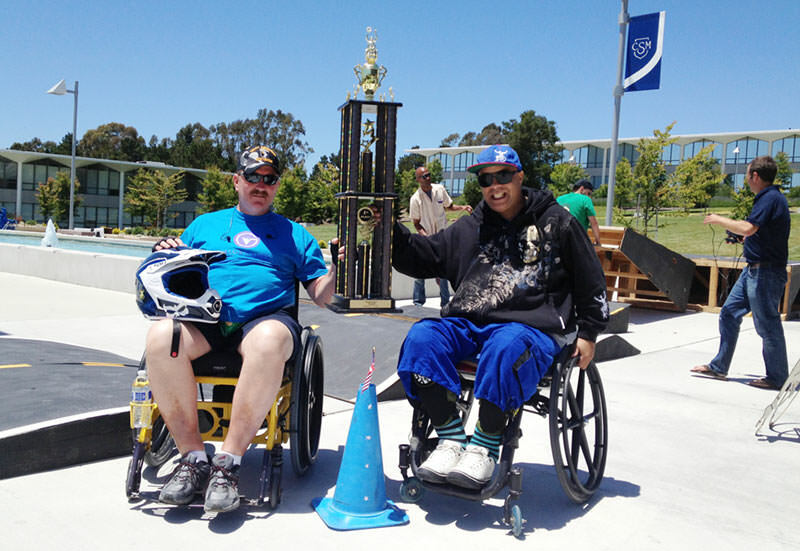 Snowden's special wheelchair and scooter allowed him to resume an active lifestyle. They have even helped him launch a new off-roading sport, wheelchair supercross, which he hopes to see included in a future Paralympic Games. "I do everything I used to do, except now I do it from my wheelchair," said Snowden. And just like before his 1997 accident, Snowden still gets hurt. 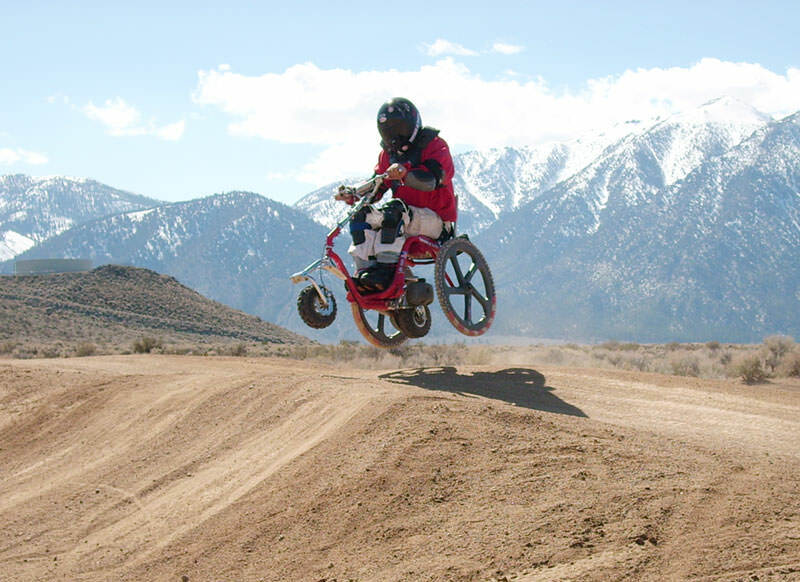 One accident happened when he attempted a 50-ft jump with his off-road wheelchair in snow. "I went over the handlebars and luckily a little voice inside me said, 'tuck your chin into your chest.' That saved me." His daring has paid off. 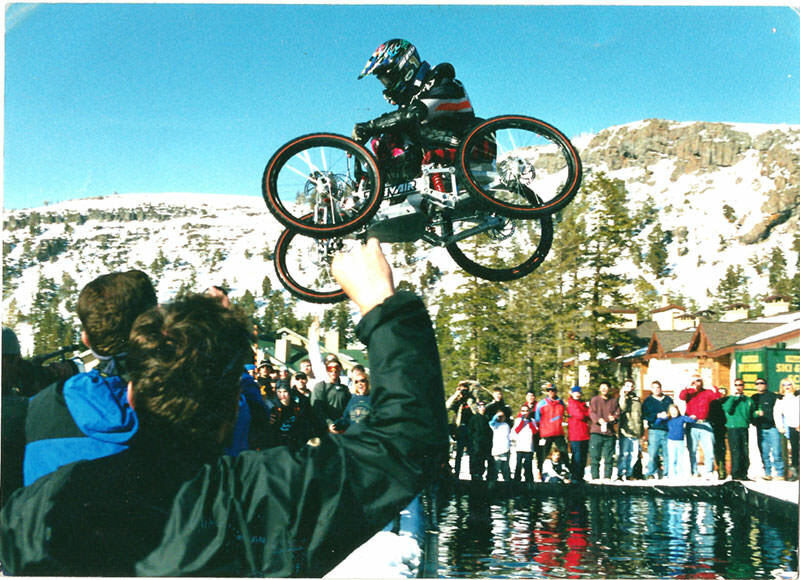 Snowden holds the world record for jumping 55ft over cars in a wheelchair and his stunts have been featured in Ripley's Believe It or Not. Snowden's wheelchair-scooter combo creation has been the toast of such events as Abilities Expo where its impact on the disability community was truly felt. At a Houston expo in particular, Trevor recalled how his chair made a teenaged boy smile for the first time in seven years. "His mother told me that when he became paralyzed seven years ago, he stopped smiling." These reactions to Snowden's inventions—the smiles, the wonder, the palpable sense of accomplishment—compel him to continue creating them. "My chairs are way faster, they make you feel free." But his talents do not stop at engineer, entrepreneur, athlete and daredevil. Snowden also has a great affinity for music and has recently released his first rap album entitled The Wheelchair Extraordinaire. His album notes say that his songs are, "stories from before and after my life changing accident in 1997. Real talk. Something I just needed to get off my chest." For more info, log onto http://www.cdbaby.com/cd/trevair2.